Shops, business establishments, and educational institutions remained closed and vehicular traffic in all 11 districts was suspended. Guwahati: The ongoing protest continues to rock the northeastern states with normal life coming to a standstill in Nagaland on Monday following a dawn-to-dusk shutdown called in protest against the Citizenship (Amendment) Bill, 2016. The bandh was called jointly by the coordination committee of tribal hohos (associations), civil society organisations, various committees, and mass-based organisations under the aegis of the Nagaland Gaon Burhas Federation (NGBF). Shops, business establishments, and educational institutions remained closed and vehicular traffic in all 11 districts was suspended. The Opposition, Naga People’s Front, backed the shutdown. It is significant that even the state Cabinet of the Nagaland government headed by chief minister Neiphiu Rio has rejected the citizenship bill, which was passed on January 8. Nagaland chief secretary and finance commissioner Temjen Toy said that the state government will propose the adoption of a resolution to oppose the bill in the forthcoming Budget session, scheduled to be held on February 21, as decided during the January 31 consultative meeting held in Dimapur. 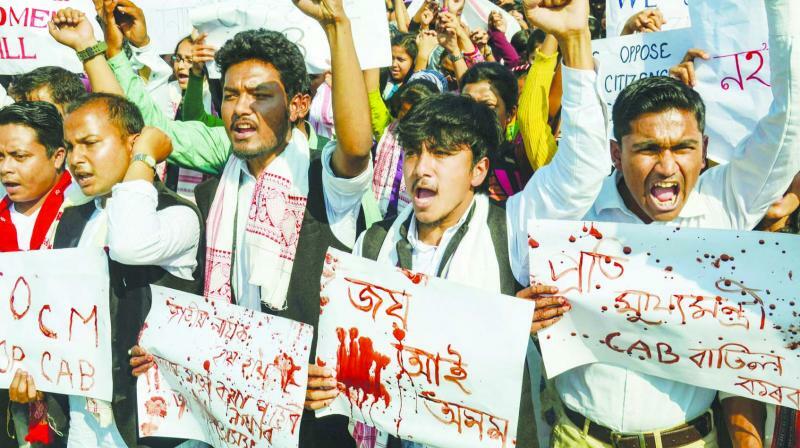 Meanwhile, protest against the citizenship bill continued in neighbouring Manipur and Mizoram, where civil society groups have been spearheading agitation continuously for the last one week. Hundreds of female vendors from the four women’s markets in the Imphal city have been staging a sit-in protest in the main market complex. They have refused to return home. CM Rio, who was in New Delhi to attend a meeting between Union home minister and chief ministers of Northeast on Monday, stated that the state government — which represents the will and desire of the people — remains opposed to the bill that seeks to remove hurdles for eligible migrants from six minority groups from Bangladesh, Pakistan, and Afghanistan in getting Indian citizenship. The activists said that they shall stay in the market complex until Wednesday when it is expected that the contentious Citizenship (Amendment) Bill, 2016, will be passed by the Rajya Sabha.